In 1997, while celebrations 20 years in the Stereo business, Michael Laurino, was expanding his already successful representative Company to pioneer the beginnings of what would become the largest and most successful rep/distributorship in the Audio/Video channel at that time, and PremiereHTS theater seating was about to be introduced. In 1991, WestWorld Marketing & Distributing launched, after spending 5 years in retail and 12 years developing his independent Rep Firm, Laurino Associates, repping and distributing products from other manufacturers, which wasn’t fulfilling his passion,, so the search to develop, manufacture and sell his own products began. This story is to focus on a new category of product that came into the electronics channel, now that home theater and surround sound had taken off. Furniture, especially theater seating, was of no interest, nor his expertise. When a European seating manufacturer approached, there was no interest, yet with their persistence, Laurino stepped in and quickly became the largest market for this product. But within one year, like so many companies using a rep network had done before, they soon went direct and Laurino began the search to develop his own brand. All that said, to say that PremiereHTS launched in 1998, and introduced the Encore and Studio Theater recliners. The Encore soon was being copied by just about every furniture manufacturer pushing their way into the Audio/Video industry. Within 5 years, the imitations took every shortcut imaginable to make a cheap, inferior product. Within a couple more years, major furniture manufacturers went bankrupt in the market crash of 2008. Off shore Chinese manufacturers, who were assembling these knockoffs for the debunked furniture companies, began to attack with vengeance using the old furniture names of the bankrupt American companies. The common factor or design was the copying of our popular Encore, first introduced by PremiereHTS, under the MovieLounger™ trademark back in 1998. PremiereHTS had to pivot quickly and took their designs to a higher level! The popular Encore design was improved and re-developed using the finest materials available with a 40+ year family furniture company! A name change was in order and the Marquee and Landmark styles were introduced in 2002 and PremiereHTS has gone on to develop many models today. 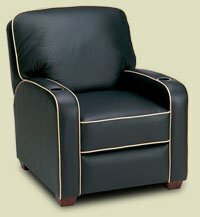 Today, after 16 years, the Landmark is still the number one selling PremiereHTS Luxury recliner. But the price pressure and need for an entry level, high quality recliner, has prompted Laurino to research and develop the re-launch of MovieLounger™ and the Encore as it’s premier model. The highest cost in building the best, isn’t just the materials, but in America it is regulations, labor and multiple layers of distribution, commissions, advertising and retail mark-up. Can you build the quality, reliability and comfort outside of American and control production and specification PremiereHTS has become know for? The answer is YES! MovieLounger™ is now taking the PremiereHTS principles that has made it the most respected home theater seating brand, it’s integrity, quality and comfort direct to you. By partnering with one of the highest quality furniture manufacture outside America, dictating the requirements, materials and designs to be used, MovieLounger™ has begun its new venture. MovieLounger™ will not cut corners! 100% top grain leather over the entire chair, solid wood construction, inter-core spring cushions, topped with layered cool Memory foam, and a warranty far beyond the cheap knockoffs! There is no substitution for, Top Grain Leather! They may throw the word “leather’ around, but note the added words like, leather match, manufactured leather, bonded leather, leather vinyl, and a few others to totally confuse or deceive the buyers! “Buyer Beware!” Only top grain full hides are REAL LEATHER! All other hides are splits, painted and coated, stamped and puttied, if not the true top grain layer of the hide. 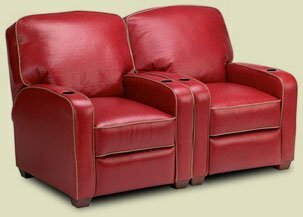 Before you buy anything from the internet onslaught of, cheap, look-a-like, so-called “leather” recliners, take a look at MovieLounger™! 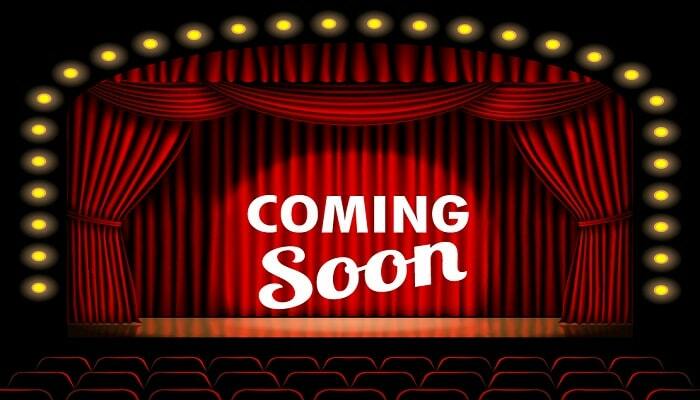 As we said nearly 20 years ago, “First Class Seating, at Coach Fares!” Soon you can visit www.movielounger.com buy directly from the manufacturer, not a distributor, retailer, or huge advertising giant, just the best seating manufacturer of home theater seating for many year now direct to you!